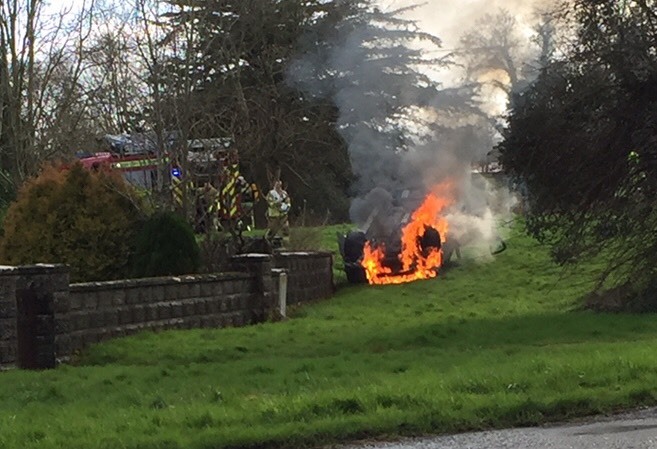 A GARDA investigation is continuing into the cause of what has been described as a “suspicious” fire in an Ennis housing estate. One house completely destroyed and another very badly damaged at Dún Na hInse, off the Lahinch Road, in the early hours of Saturday morning. 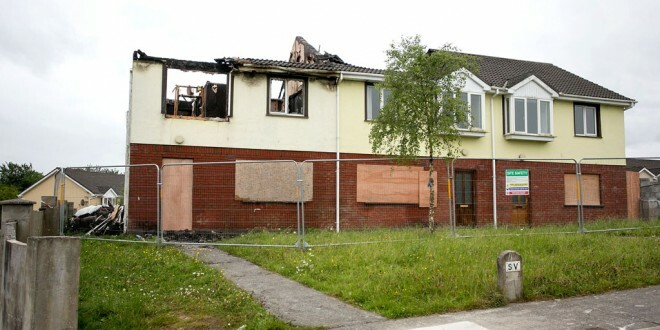 The alarm was raised by residents of the estate and when three units of the fire service and a garda patrol rushed to the scene they found the end house of the vacant three house terrace was ablaze and its roof had fallen in. The roof of the adjoining house had also caught fire and caved in but the fire crews managed to bring the blaze under control and prevent it from spreading to the third house. Once the fires had been extinguished, gardaí sealed off the scene pending completion of a technical examination. The remains of the house that had sustained the worst damage was also cordoned off and engineers are expected to inspect the building to determine if the house will now have to be demolished. Gardaí carried out door-to-door inquiries in the estate and have been told by a number of residents that a group were drinking in a green area before the fire started. “The houses were unoccupied at the time and we are looking at the fire as suspicious,” said a Garda spokesman. “We have reports of people drinking in the area and are currently carrying out an investigation into the cause of fire,” he added.